Visit to the beautiful open-air living museum, a wonderful example of a 19th century village/hamlet. This is also a birth-place of Tito, ex communist leader, so we visit his house which has been turned into a museum. 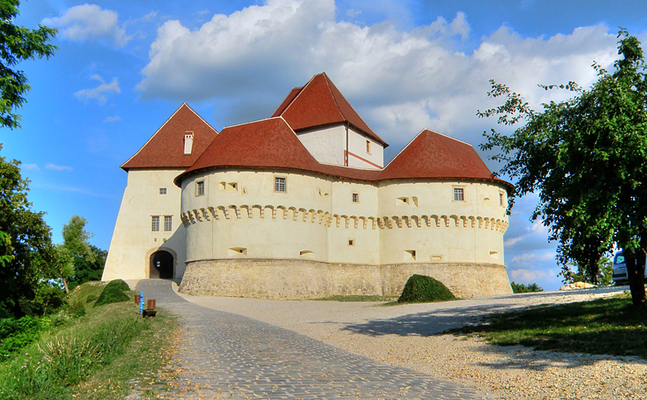 Drive to the Veliki Tabor castle (viewing of the castle only from the outside). 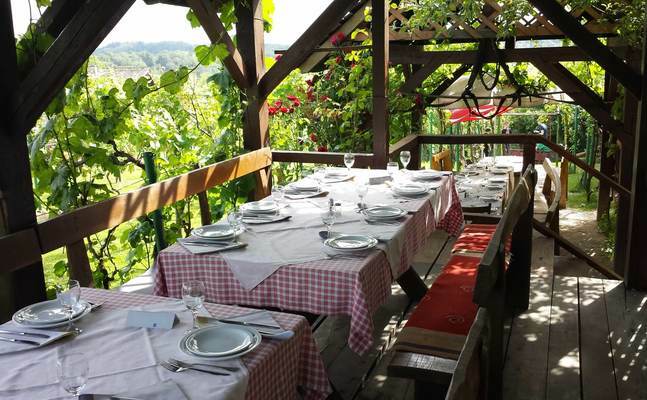 Lunch at the nearby Gresna gorica farmstead included. 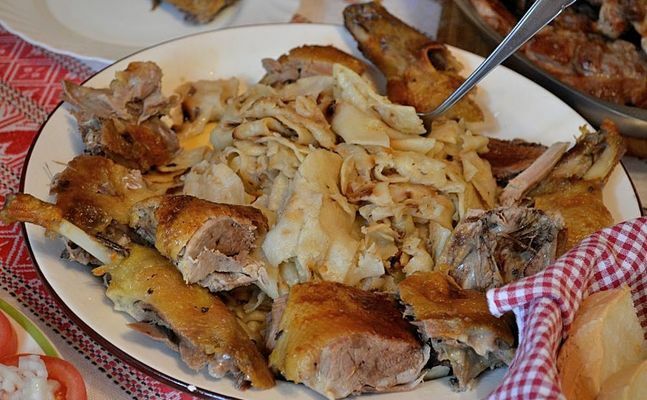 Typical local cuisine of Zagorje region (roast poultry with mlinci, delicious home made soup, dessert, glass of local wine). After lunch we continue towards the village of Desinic – possible stop at the local cheese factory Veronika to buy some yummy cheese. Continue our drive to the town of Krapina – visit to the Museum of the Neanderthal – fantastic modern museum on the in situ location of the Neanderthal finds. 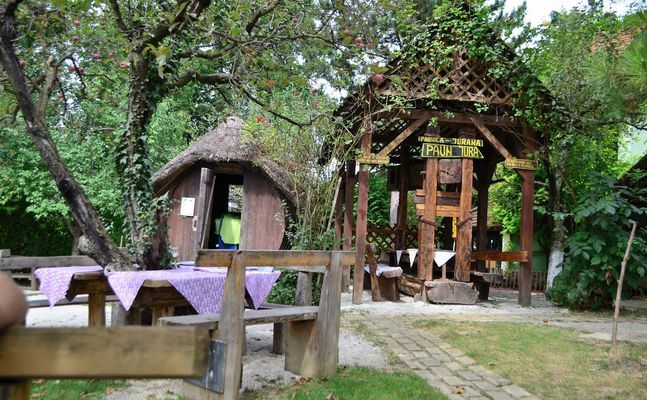 Includes: transportation (car or mini-van), licensed guide in English, entrance fees to Kumrovec village and the Museum of the Neanderthal, delicious lunch on a farmstead with a glass of wine, info-package on the tour, refreshments on the way. 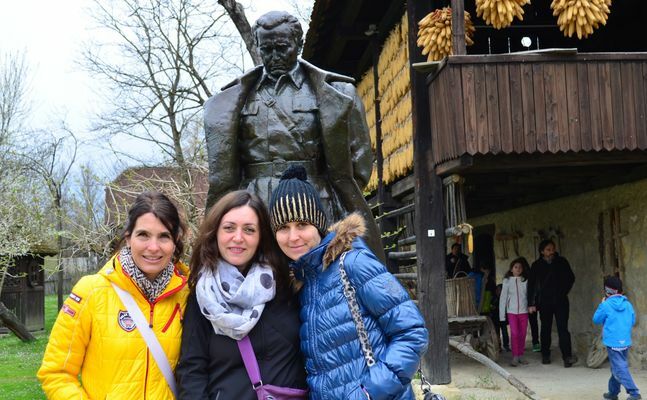 On this tour, we visit the picturesque region of Hrvatsko Zagorje, north of the city of Zagreb. We drive around the Mountain of Medvednica (literal translation of Zagorje region is „a region behind the hill“). This area is known for its beautiful castles, rolling hills covered in vineyards and popular health spas. One hour scenic drive to KUMROVEC – the first stop on our tour. Along the way we will also stop at Zelenjak to visit the monument dedicated to the Croatian Anthem (the only monument of this kind in the world). The author of the poem (Our Beautiful Homeland), Antun Augustinčić, was born in the neighbouring village of Klanjec and was inspired by the natural beauties of Zagorje when he wrote the verses of the anthem. Kumrovec is the open-air museum, we also call it a living museum as the museum is constantly expanding and people are living in the houses surrounding the museum-village. You will see chicken running around, locals playing cards in the pub etc. The museum came into being in 1950s when Tito's house was converted into a musuem. So the nucleus of the museum is hir birth place. It has later expanded to the surrounding houses and today practically half of the village has been preserved. 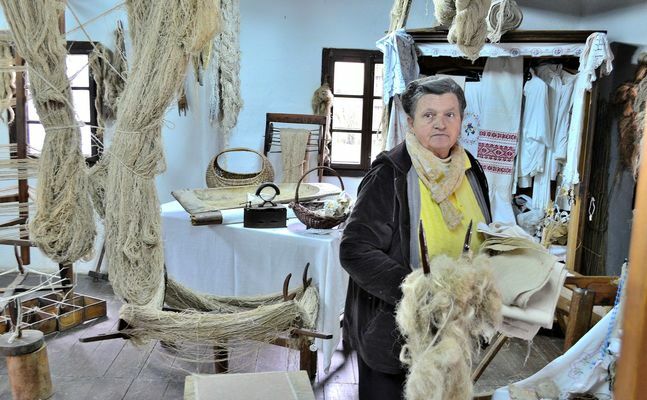 Each house in the village presents one craft (smithery, weaver, candle maker etc.) and shows you the what farmer's life was some 100-150 years ago. Tito's house is one of the oldest, built by his Grandfather in mid 19th century. We will allow one hour at the village. Possible coffee break. There is a nice souvenir shop with local craftwork and Tito's memorabilia. 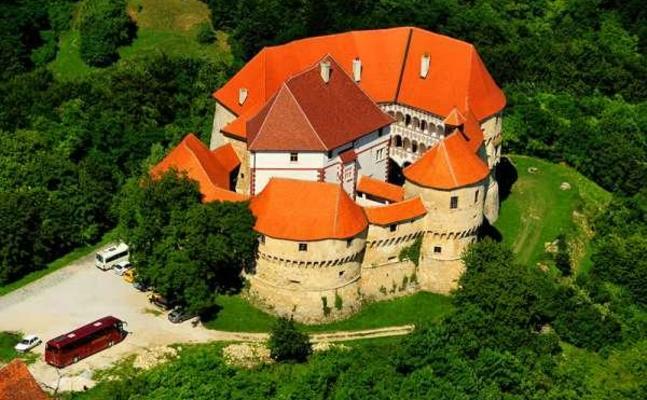 We continue the tour with a drive to the Veliki Tabor Castle – one of the best examples of the fortified meadieval castles in this part of Europe. Its present appearance dates back to the 16th century. We will tell you the legend of Veronika from Desinic and count Friedrich who lived in the castle, an intriguing love story from the meadieval times. 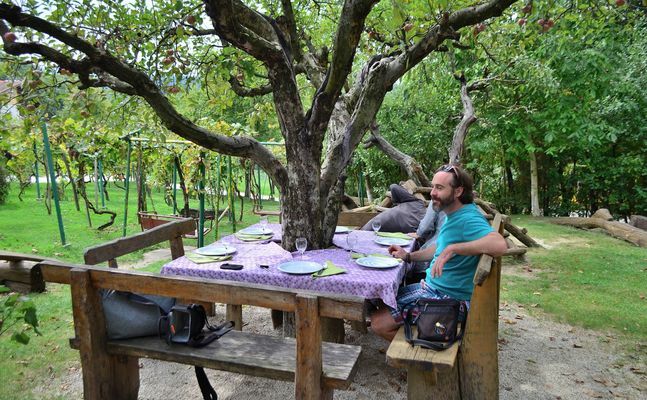 On the opposite hill, overlooking the castle, we will enjoy lunch on a traditional farmstead, amongst the vineyards. 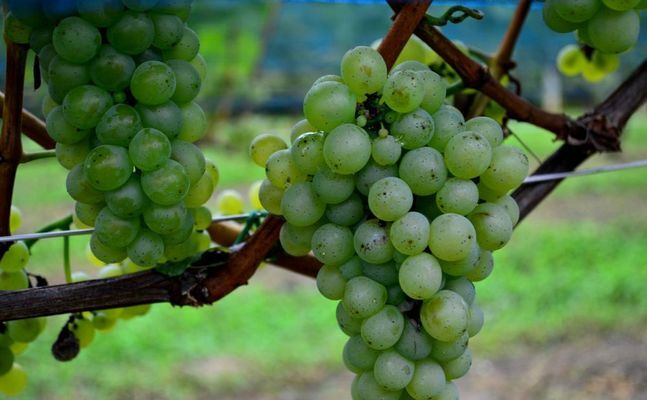 You will try some local delicacies – everything that's served on the farmstead was locally produced, including the wine. After lunch we can briefly visit the Dairy factory Veronika, in the nearby village of Desinic. This is optional (the factory is open during the working week). 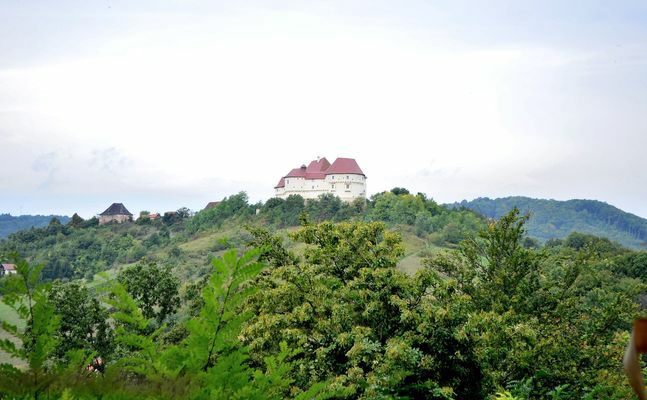 We reach the town of Krapina – the administrative and cultural centre of the Zagorje county. The Museum of the Krapina Neanderthals is located at the celebrated archeological site on Hušnjakov hill and is part of the protected prehistoric park in Krapina. This fantastic modern museum works like a kind of time-machine in which visitors move from the time of the discovery of prehistoric remains towards the origins of the human race and creation of the planet Earth. The Neanderthals, archaic hunters and nomads of the past, survived for over 200 000 years in a space that stretches from the Near East to the coasts of the Atlantic. We will allow an hour (up to hour and a half) at the Museum. After the visit, we take the highway back to Zagreb (45 min drive).